Let’s cut you free of what is adding unnecessary pressure and free you to truly do what matters most to that beautiful soul of yours. There are lots of things you could do, could spend your energy, time, money and life force on the remaining weeks of this year. But will spending your resources and life energy this way REALLY give you the return you want? Bring you happiness, success and health on what matters most to YOU … on all levels … spiritual, physical, emotional, and relational. 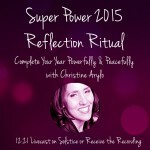 This is a question I ask every year at this time … by doing a series of “feminine super power” rituals that get me connected more deeply to my intuition, my inspiration and my soul and heart aligned intentions. Think of it like a super power pause with the Divine. 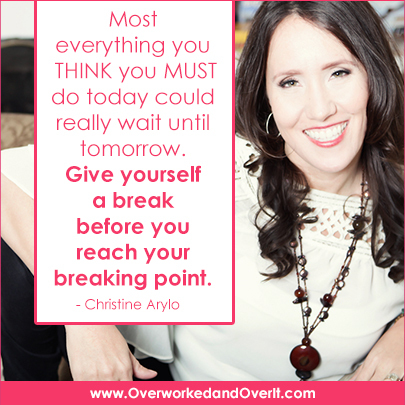 Get really clear about what you need to, want to, must (for your own health and happiness) say NO to over the time between now and the end of the year so you can start the new year refreshed, replenished and ready to dream, vision and seed your new year. I thought I could share a short but mighty ritual with you to help you liberate yourself from any pressure & overwhelm you might be feeling to do things you don’t want to or just don’t have space for… so you can be free to spend your life force on what matters most to you. Just by taking a brief pause today with me and doing this short but mighty super power ritual I video taped for you, we are going to free you from the tendency to try to do too much this holiday season… including saying yes to things you really want or need to say no to. Using your Feminine Super Power of Liberation, you can tap into an inner power within to say NO to the obligations, traditions and to do’s that you just don’t feel like giving your life force or time to. Sound good? These short but mighty power pauses are a part of the how I live my life and how I went from an overwhelmed woman who often exhausted herself and used her own energy and resources to get my sacred work into the world, take care of whom I loved, and manage my life… to a woman who has learned to live in harmony with the natural cycles, tap into the super power of the cosmos and the earth, and use both my feminine and masculine powers to create a life that is in alignment with my heart and soul. Press pause on the outside world and tap into your inner world. Use the feminine super power of Liberation and the power of the half moon to sever your attachment to doing things things that won’t serve your heart, soul or body this holiday season. I’ll pray on it, super powering your intention and witnessing your commitment to liberation and more harmony. When you go public and get witnessed by others you are like a GAZILLION times more likely to stay true to your committment to yourself. And remember you are invited to a Feminine Super Power Year – we start Dec 21st, with a special grace under pressure 40-day practice beginning on Dec 1 – so get your invitation, read it, reach out to me and my team, and save your spot! Would LOVE to vision with you + spend 13 moons living and creating the divine feminine way. POST YOUR FEMININE SUPER POWER OF LIBERATION STATEMENT HERE 🙂 CAN”T WAIT TO SUPER CHARGE IT!!! I say NO to cooking Thanksgiving dinner this year and a family gathering. I’m exhausted and I just want to spend time with the love of my life this holiday. I say NO to wandering here and there and not focusing on rituals what is important to me , not bringing in my own income and isolating me . I am saying Yes to my new true pure self and extending purity to my all areas. , my work I always want to do and hence my own money and new friends compatible to me up to dec moon. Error: Error validating access token: Session has expired on Friday, 19-Apr-19 12:24:14 PDT. The current time is Thursday, 25-Apr-19 11:03:02 PDT.